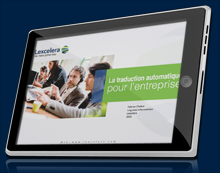 Every year since then Lexcelera has earned re-certification for its IS0 9001 translation quality system. ISO 9001 certification is given in recognition of industry-leading levels of quality. Lexcelera’s ISO 9001 quality system covers all services from document translation to localization of software and websites to conference interpreting. Lexcelera’s latest ISO 9001 quality standard celebrates rigorous quality management systems, commitment to ongoing quality improvements and focus on customer satisfaction.